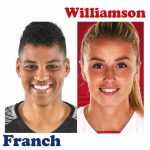 Episode 107: Women’s World Football Show features an exclusive interview with Australian international and Portland Thorns FC striker Hayley Raso; soundbites from Thorns FC coach Mark Parsons, North Carolina Courage head coach Paul Riley and forward McCall Zerboni; and sportswriters John D. Halloran and Sophie Lawson. 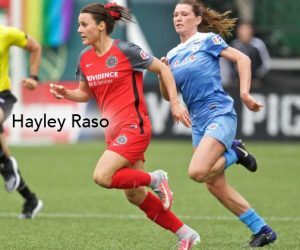 The 2017 season has been a breakout year for the young Australian forward Hayley Raso. In this Women’s World Football Show exclusive interview, Hayley shares with us her experiences playing for Portland Thorns FC, the Australian Women’s National Team, and what she attributes to her recent successes. Read Sophie Lawson’s articles and updates in Vavel UK! 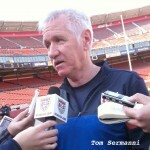 Read John’s recent article on the 2017 NWSL Final in America Soccer Now. 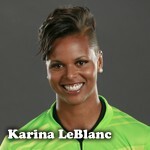 The 4-nations tournament in China, featuring North Korea, Brazil and Mexico; A look at upcoming international friendlies; FAWSL updates and MORE!